Let us worry about taking orders. You worry about growing your business. Compatible with the National School Lunch Program (NSLP) for confidential free and reduced cost meals. 256-bit encrypted SSL. State-of-the-art data center. Your data is safe with us. If it suits your needs, let Hot Lunch Online assist with customer service. Stay up-to-date with the latest and greatest features with no additional cost. Most online ordering systems charge a flat percentage of gross sales. They typically range from 3% to 7%, and they typically include your credit card or gateway fees. Credit card fees are usually based on a transaction fee plus a percentage of gross sales. 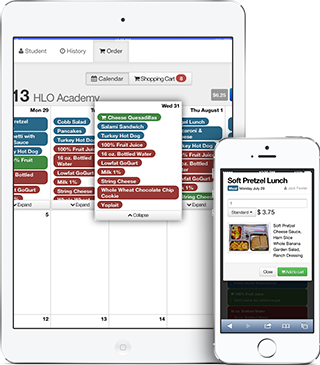 When the ordering software tacks a percentage on top, the school or caterer now has a fixed increase on gross sales of 3%-7%. At Hot Lunch Online we are a little different. Our low price of .09 per meal is separate from your credit card fees or gateway fees. Plus, we offer free add-ons with a meal purchase. When a student orders a meal and a milk on the same day, we only charge 9 cents. 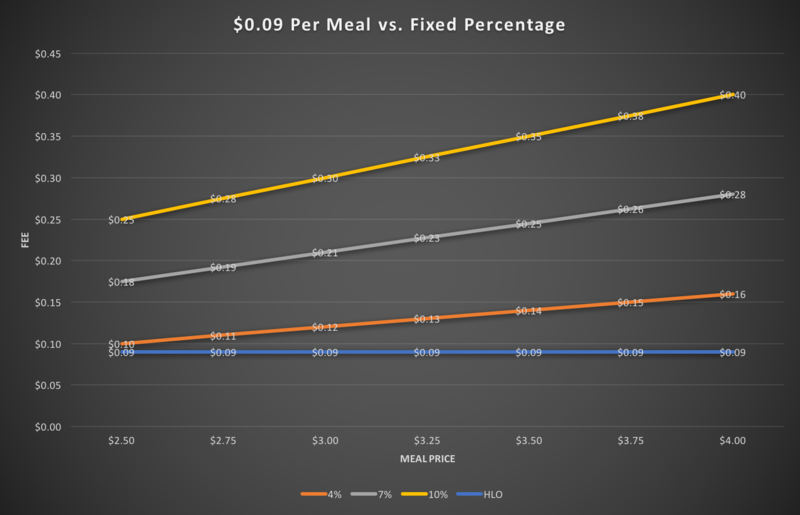 If you are paying 3%, you pay 3% of the meal price and 3% of the milk price. The school or caterer may also add a service fee onto the menu cost to cover the fees if they choose. Action log report – Log of some of the important actions that can occur in the system. Balance report – Reporting on Account Balance. Cart report – Reporting on Shopping Carts. Shopping List – Generate a list of ingredients by vendor. We’re web experts. You’re a food service expert. Let’s make it happen.